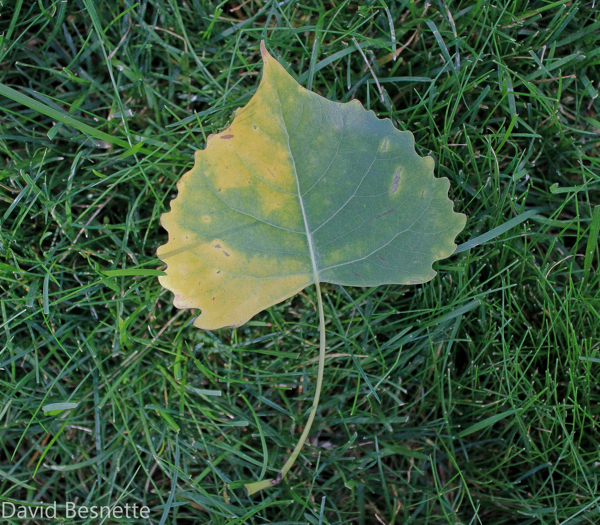 Every year I say the same thing – where did summer go, and wow, the leaves seem to be turning really early. In our open space, the tops of trees are already yellow, and this week, in late July, there is a definite coolness in the air. I round this leaf on my long run this week (hit 12 miles on Sunday) and brought it home. I thought that it was a perfect specimen of a leaf, already starting to change colors.